VANCOUVER -- The tech executive whose arrest in Vancouver has sparked outrage from China is the well-educated daughter of a wealthy former military man who founded what eventually became one of the world's largest telecom companies. 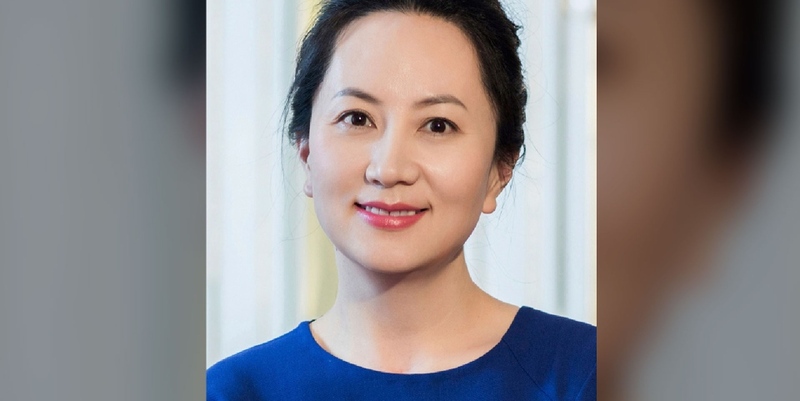 Meng Wanzhou, the chief financial officer and deputy chairwoman of Huawei Technologies, was arrested at Vancouver's airport while in transit over the weekend and faces extradition to the United States on unspecified charges. Meng's bio on Huawei's website says she joined the company in 1993 and held various positions across the company, including director of international accounting and CFO of Huawei Hong Kong. She holds a master's degree from Huazhong University of Science and Technology. Huawei was founded in 1987 by Meng's father, Ren Zhengfei. It's grown into a major multinational with more than 170,000 employees doing businesses in more than 170 countries. Meng's father, now 74, comes from rural roots, according to the Huawei website. His parents were school teachers and he grew up in the remote mountainous town in Guizhou province. Huawei says Zhengfei was a standout in the Chinese military's engineering corps, retiring in 1983 when the unit disbanded. He was invited to attend the National Science Conference in 1978 and the 12th National Congress of the Communist Party of China in 1982. After a stint in logistics with Shenzhen South Sea Oil Corp., his biography says he founded Huawei in 1987. He has held the title chief executive since 1988. She is credited in her bio with establishing Huawei's globally unified finance organization -- helping grow the company to the world's largest supplier of network gear used by phone and internet companies. The company says it has surpassed Apple as the second biggest maker of cellphones after South Korea's Samsung Electronics Co.
Meng led the founding of five Huawei shared service centres around the world, her company bio says. "These centres have boosted Huawei's accounting efficiency and monitoring quality, providing accounting services to sustain the company's rapid overseas expansion." Since 2007, the company says Meng has been in charge of something called the Integrated Financial Services Transformation Program, a partnership between Huawei and IBM. "In recent years, Ms. Meng has focused on advancing fine-grained and comprehensive financial management at Huawei, working to align these efforts with the company's long-term development plan," her Huawei bio reads. "Ms. Meng has continually worked to improve treasury risk and tax compliance management systems, and has helped to make financial operations within the company more efficient, agile, and intelligent."